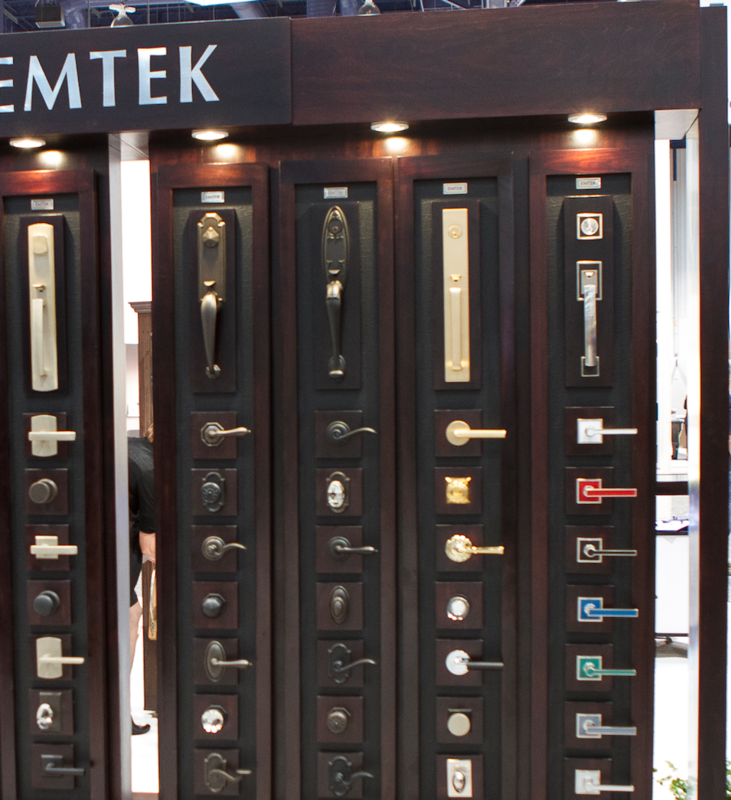 Door and Cabinet Hardware Blog with Knobs & Levers | Emtek Products, Inc.
Last year, visiting a haunted house was on the Halloween agenda for one-fifth of Americans. Designing your own haunted-house inspired yard can really amplify the spookiness in your neighborhood, and creating the decor for it can get the whole family involved. Everyone can help with easy-to-make ghosts, tombstones, and cobwebs. It’s a time for your imagination to take flight—the more outrageous the better. 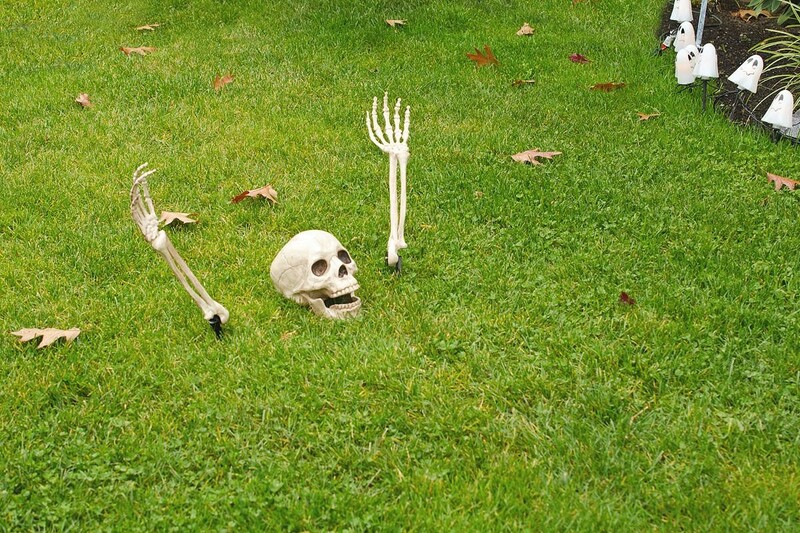 One of the best parts about Halloween decorating is that you don’t have to cut straight or paint evenly to have the spookiest yard in your neighborhood. Leaves are not doing your lawn any favors. In honor of Halloween, the leaves can stay there—for that brief window of opportunity, because a spooky lawn is an unkempt lawn. In fact, you can use the leaves in your “tableau.” Rake leaves into a big pile. Place a pair of old boots sticking out of it. Voila! You have a dead body on your lawn. 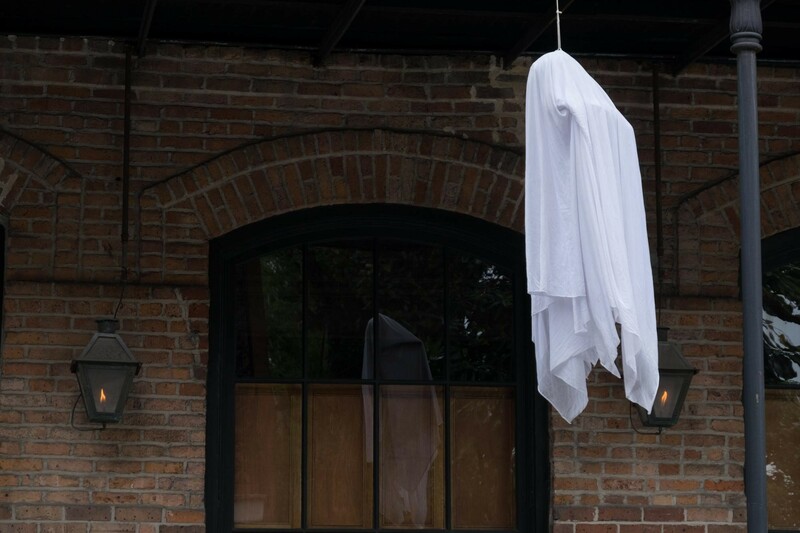 Haunt your yard with as many floating ghosts as you want. All you need are balloons (mylar balloons stay inflated longer) and yards of gauze or cheesecloth. Cut the cloth material at different lengths to drape in layers over the balloon. Use the balloon string to hang the ghosts on the front porch or from the trees. Personalize the ghosts’ faces with a magic marker. Blow up orange balloons and paint scary or silly faces on them with a magic marker. Similar to the balloon ghosts, hang the pumpkins as you’d like using a thin string or transparent fishing line. You can also tie them down around hedges or on the ground level of the porch. Tombstones can be made out of wood, styrofoam, or cardboard. You can find a tombstone template guide online for design ideas or do them in free form. After all, tombstones are old, worn out, and look spooky when lopsided. Paint your cut out using shades of gray and brown. Let the paint streak and drip, adding eerie texture. You can also try to dab at the paint with a wet sponge for additional texture—whatever will make them look old and decrepit. With a magic marker or black paint, add some clever inscriptions. “I told you I was sick” may be trite, but it never fails to get a laugh. Scatter around skulls and bones as though they are rising up out of the ground. If you decide to make tombstones, add the skeleton bones in the ground in front of the tombstone to amplify your makeshift graveyard. Use recycled or store bought glass jars of all sizes and shapes to create luminaries. Making sure there is a large enough neck to insert a candle. Wash and rinse the jars. Then rinse again in rubbing alcohol and let air dry. Apply acrylic paint in Halloween colors of your choice to the outside of the jars. No need to be precise. The rubbing alcohol will leave the paint transparent in spots and streaks. With a magic marker or black paint, draw on faces. Tea lights are the best kind of candles to use, you can also use battery operated tea lights. They light the faces from the bottom up for an eerie ambiance. Use rolled cotton or store bought polyester spider web material cut into 3-to-6-inch lengths. Hold the cotton and pull at the fibers. You can pull those fibers right, left, up, down, diagonally—it’ll keep stretching without tearing apart. The fibers allow you to stick the cotton to nearly all textured surfaces—front door frame, porch, trees, shrubs, and fencing. When you want to join two pieces of cotton together, attach it with a firm-hold (sticky) hairspray. Stick a few plastic spiders here and there for extra creepy look! Simplicity is key when it comes to decorating your front door. 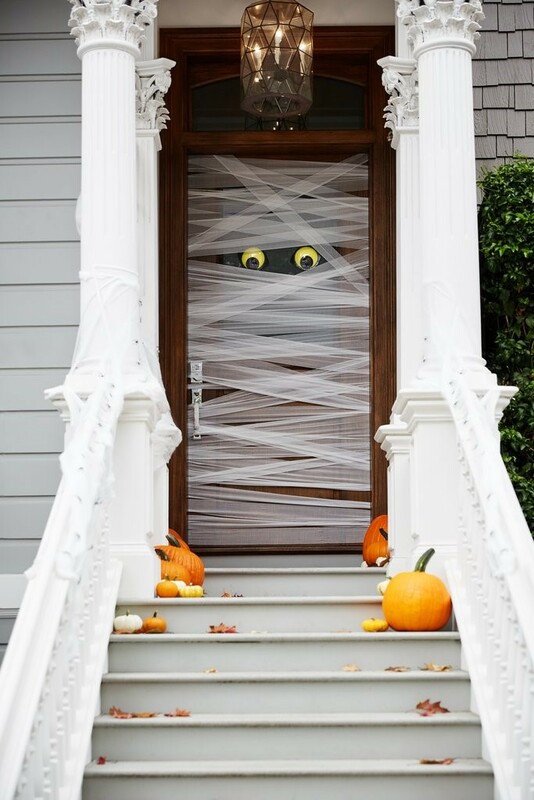 Turn your front door into a giant monster or mummy. Use white party streamer paper to criss-cross a mummy-like pattern and use black and white paper to create the eyes. You can do a similar technique to create a frankenstein inspired door, using green streamer paper. For an even more simple door decoration that’s not as bold– cut out bats on black felt in varying sizes and scatter around your door with double-sided tape. Not all Halloween decorations have to be scary. Create a festive wreath using black, orange, and gold ornaments in assorted sizes, mix it up with plain or patterned ones. You can also decorate the plain ones with a magic marker if needed. Using a glue gun, attach the metal top to the ball. Thread the balls onto a macrame ring at random until you have just enough room on the ring to close it up with Gorilla Tape. Place a bright bow to the top or bottom for an additional element. If you want to create the perfect background, for Halloween night, change all your light bulbs, inside and out, to red ones. 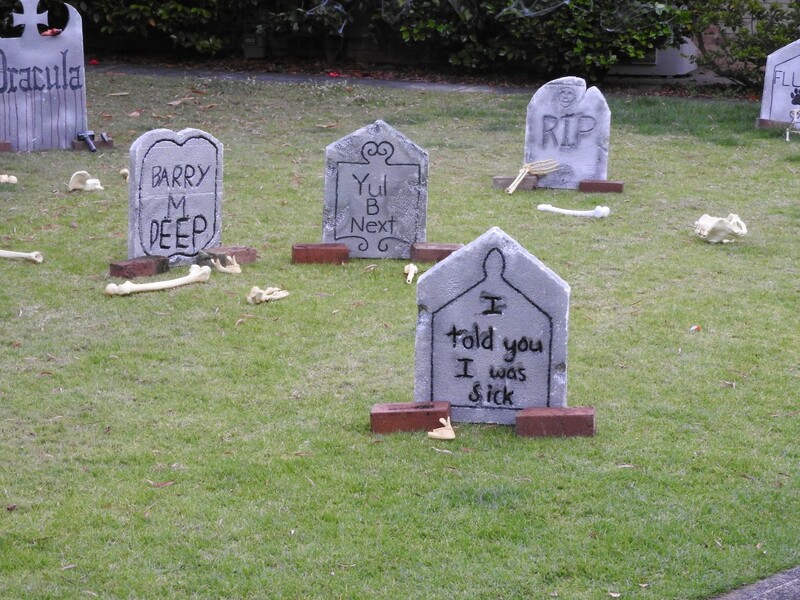 Before you know it, you’ll have the spookiest yard on the block! 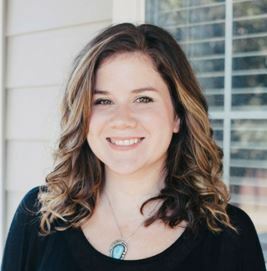 Katie Kuchta is a gardening guru, outdoor living expert, and self proclaimed foodie. 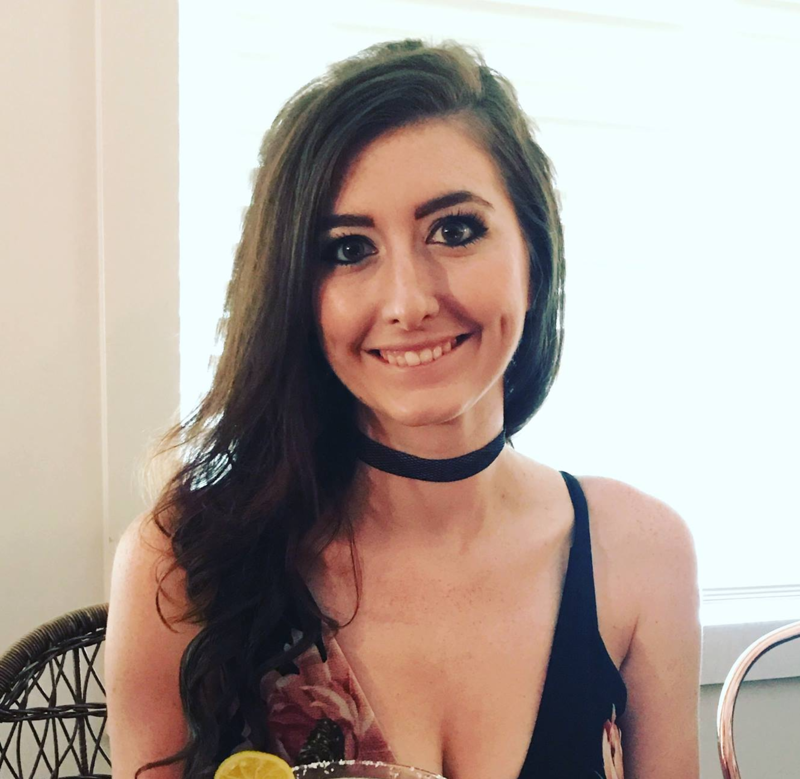 She can often be found cooking in the kitchen or on the hunt for the best tacos, follow her on Instagram @atxtacoqueen. 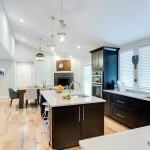 Many people opt for DIY projects to improve the value of their home. Some projects are simple and require little knowledge while others may take some time and research. 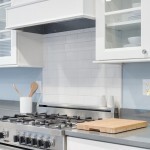 Regardless of your skill level, there are ways for you to increase the value of your home without the help of a contractor. Here are a few DIY ways for you to help sell your house at a good price. Painting is one of the easiest ways for you to increase your home’s value and attract buyers. Newly painted spaces look cleaner, brighter, and more customized. Just be sure to stick with muted and neutral tones to appeal to the widest audience. If you’re really on a budget, there’s no need to paint all of your rooms or even all of your walls. Accent walls in key spaces can have a similar effect on home buyers and the value of your home. 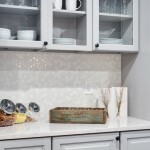 Try a sponged, textured accent wall in the dining or kitchen area. The splash of color will make the home seem more inviting. This is a quick and easy task that makes a huge difference. 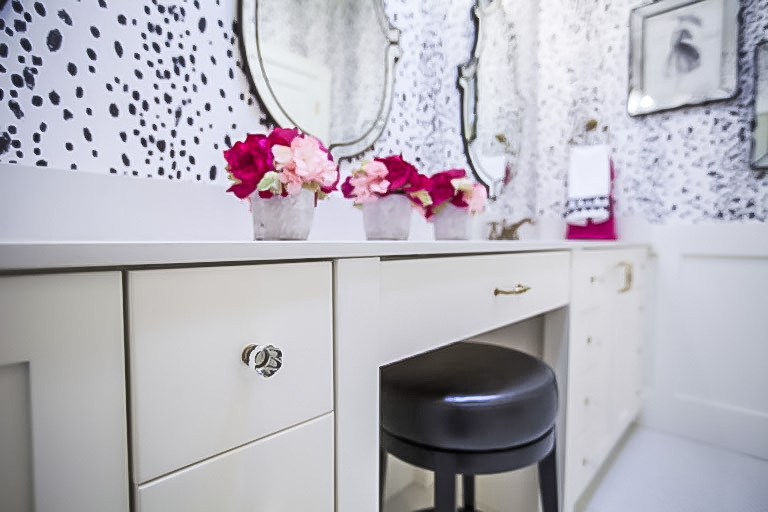 Often, door knobs and cabinet pulls end up looking outdated before the rest of our décor. Replacing them with newer models can bring a whole new design feel to your kitchen and/or bathroom. 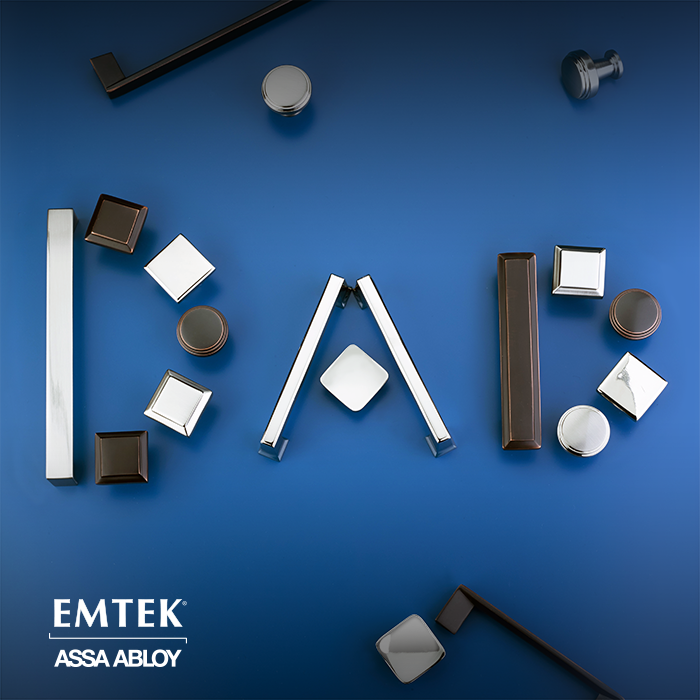 Emtek offers a wide variety, sure to satisfy any DIY home decorator. Even better, usually all you’ll need to switch out old hardware with new is basic tools and a little time. difficult to achieve. If you have plain, frameless mirrors, take them down and replace them with framed, decorative mirrors. You can either shop at sales to find inexpensive options, or you can frame the old mirrors yourself. 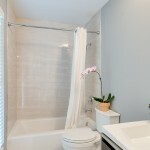 Be sure you have basic fixtures like towel racks, hand towel holders, and appealing lighting. Go for decorative but not ornate and be sure all the metals and designs match each other. People love to see walkways edged by flowers and healthy shrubs. 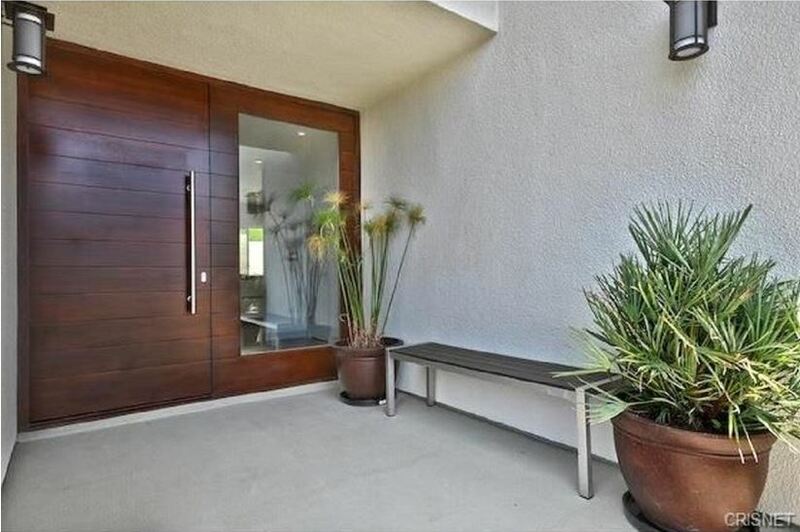 Following the vibrant plant life to the front door is bound to put potential buyers in a good mood. A well-landscaped house tells buyers that the house has been well cared for while helping the house to look clean, neat, and homey. You should also do your best to find hardy plants that will not require a lot of upkeep and are drought resistant. 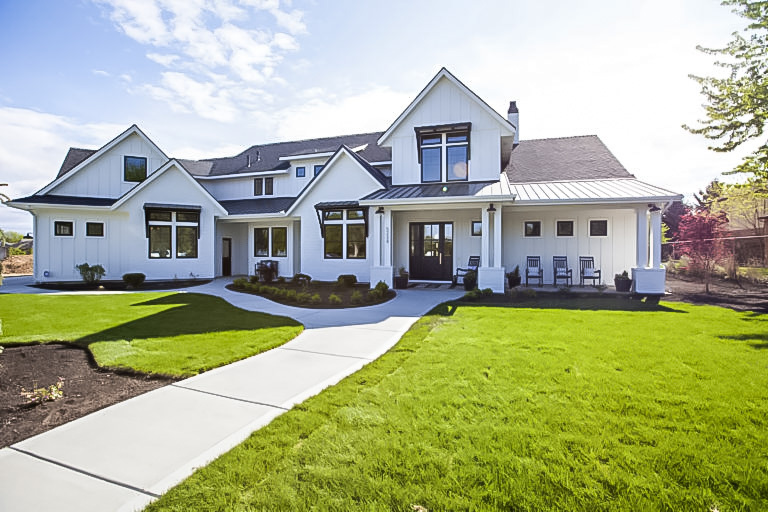 Telling potential buyers that they can have a beautiful front yard with minimal effort on their part is certainly a great way to get people to pay a little extra for your home. Your realtor is going to be the best person to advise you on what will improve the value of your home. They have plenty of experience with what’s in style, what most people like, and what people will pay more for. If you want to know where to get started, ask your realtor. They will be able to offer some different projects for you to spruce up both your home and its value. 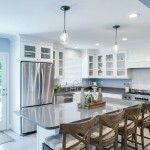 DIY projects are a great, inexpensive way for you to boost your home’s value. While a contractor may be able to do bigger projects such as add a deck or patio, you don’t necessarily need any big changes to make your house more desirable. All you need is a few gallons of paint, a mirror or two, some flowers and the advice of your realtor. Paul Denikin began learning the ins and outs of DIY home repair while making his home better fit and more accessible for his daughter, Maggie, who has special needs. Paul wants to continue to help special needs parents like himself, and offer them a source for ideas. And that’s why he created DadKnowsDIY.com, a website that offers home improvement project how-tos and other accessibility information. When Paul isn’t being handy around the house, he likes to take Maggie to the movies on the weekends. 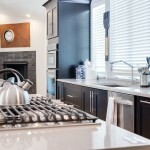 All images by Florence Lam with home design in Boise, ID by Clark and Co. Homes. Your front door has the potential to increase your home’s curb appeal and property value, all while keeping your loved ones protected from potential intruders. Depending on where you live, your front door must also be able to withstand any punishment that mother nature has in store – from torrential rain, freezing blizzards, gusting tornadoes, violent hurricanes, and the blistering sun, it has to stand up to the elements. Those are some serious demands on a door! The decision can seem daunting, but by comparing the virtues of the three main options for door materials, you are certain to find one that meets all of your criteria. 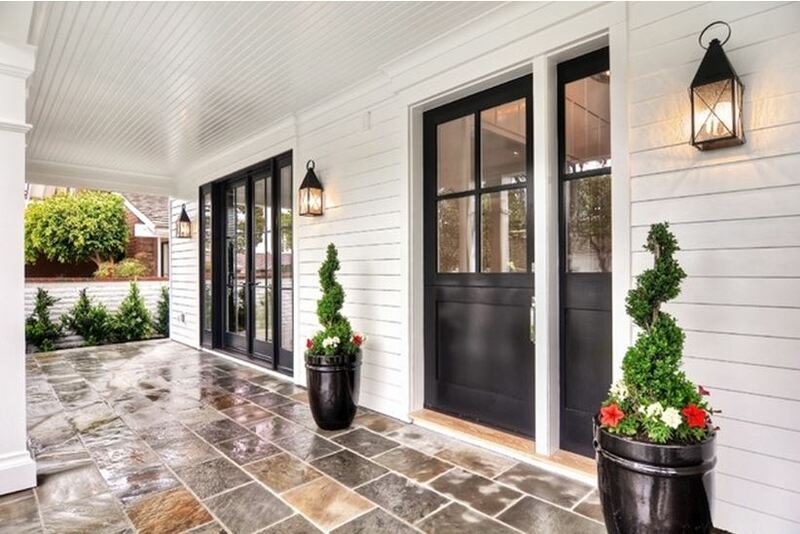 Wood is the most common, and classic, choice for a front door due to its versatility and inherent beauty – and it certainly makes any home feel high-end. With a luxurious look and impressive weight, solid hardwood doors have no comparison. However, they do have the potential to stretch your budget (particularly with custom made doors). If you are looking to save a few dollars, while still having the beauty of natural wood, look for a stock wooden door with an insulated core. You’ll get the aesthetic you love with the added bonus of lowered utility expenses. If safety is your top priority, look no further than steel. Steel doors are tougher than wood or fiberglass, will not warp, and can be repaired with an auto-body repair bit. On top of that, steel is an excellent choice for your wallet, typically being the least expensive of all door materials. However, contrary to common thought, steel doors do not have the longevity of other doors – especially in wet, tropical climates. If you live near the ocean, a steel door may only last five to seven years under normal wear and tear. Fiberglass strikes a perfect balance between wood and steel. Most fiberglass doors are designed to mimic real wood grain and can be dyed to look like any type of wood. They do not expand or contract in humid climates, have fantastic warranties (assuming you use the complete entry system including the frame), require virtually no maintenance, and can be expected to last upwards of twenty years. Fiberglass doors are very light, but also very strong, holding up nearly as well to intruders as steel. Manufacturers fill spaces in the framing with foam insulation, giving you excellent energy efficiency as well. Fiberglass doors have virtually no downside! Once you have settled on a door material, you can move on to the creative part—imagining all the ways to personalize your new front door. 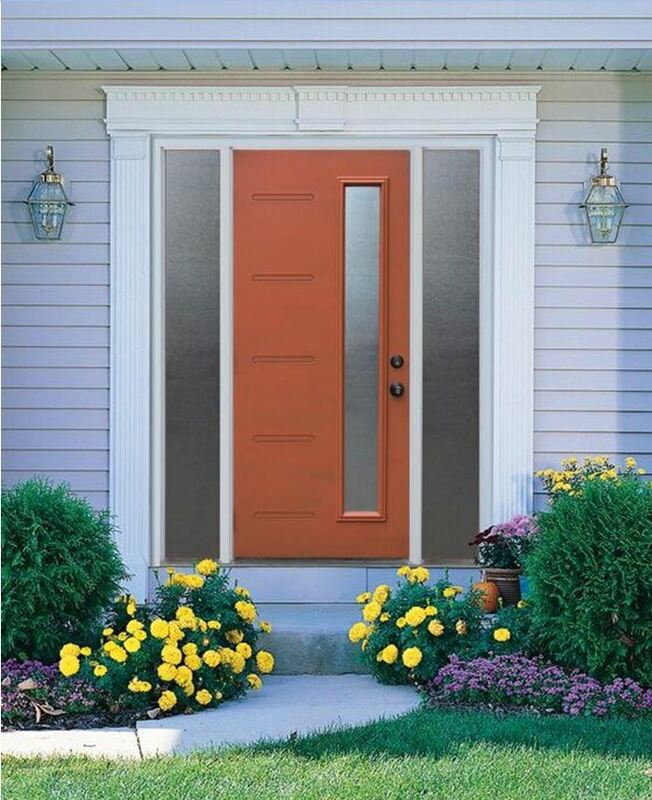 From color choice, to glass inserts, to hardware, there are so many ways to design your front door and make it match the style of your home . 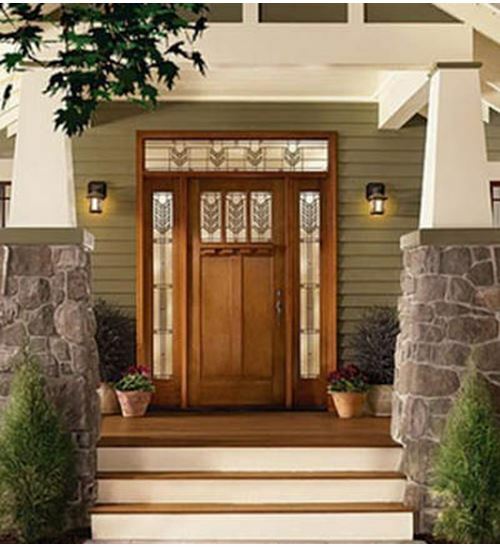 Your front door makes your home’s first impression, it should make a statement. Emtek offers a beautiful array of door hardware that is guaranteed to make your front door a true piece of art that makes a great first impression for years to come. Once you find the perfect combination of hardware, use the Retailer Locator on the Emtek website to find a local store near you. On HOME FREE, FOX’s new competition series featuring couples vying to win their dream home and airing Wednesdays at 9:00-10:00 PM ET/PT, nine deserving couples are challenged to revive one run-down home every week. During each episode, famed professional contractor Mike Holmes (“Holmes on Homes®”) will present the couples with tasks designed to test and challenge the skills of these do-it-yourself enthusiasts. Holmes will be with the competitors every step of the way – picking apart their work and demanding they meet his high standards, while also sharing his expertise and guidance to help them reach new heights. But in a surprise twist, when the work is done for the day, the couples don’t have far to travel to get home…because not only must they work together to restore the home, they must all live together in the same dilapidated work site 24/7. The more they accomplish, the better they sleep at night. Emtek provided cabinet hardware for this groundbreaking show. 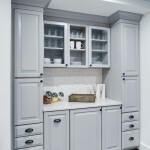 Take a look at a few images from the first episodes to see our designer cabinet knobs and pulls in action. Tune in Wednesdays at 9:00-10:00 PM ET/PT to watch (see if you can spot Emtek!). 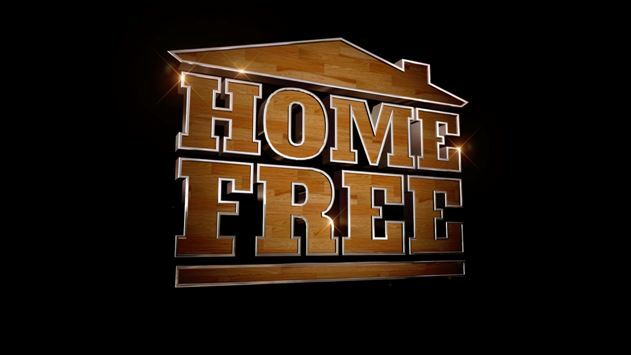 HOME FREE is produced by Relativity Television and executive-produced by Tom Forman, George Verschoor, Trice Bartow, Brad Bishop, Andrew Marcus and Mike Holmes. The series will be distributed internationally by ELECTUS. The design world is forever looking for the next new trend. What will be “it” next year and how can we keep up with the times? Some trends end up a flash-in-the-pan while others come to define an era of design. Shag carpet anyone? You can’t think of a 1970’s style home without it. As a hardware brand for designers, Emtek walks the tightrope of providing classic designs that will endure and appeal to the majority, while still remaining relevant with current product designs. The year 2015 brought whispers of a comeback for warm brass finishes. Emtek listened and met the next trend for design head-on. The whispers came from design oriented magazines and blogs. Editor after editor came to Emtek asking for product in warm brass for a project or editorial placement. 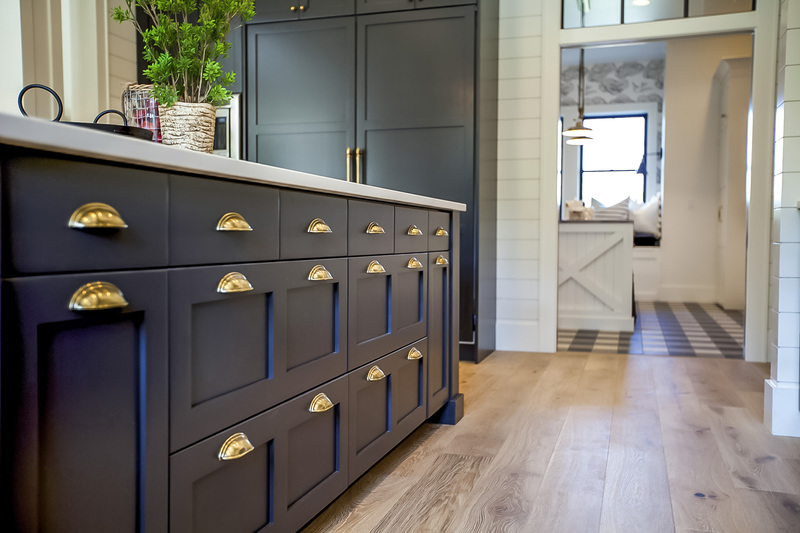 The finish was used in the Academy Awards Greenroom by Architectural Digest and will be featured in the upcoming fall 2015 issue of House Beautiful’s Kitchen of the Year (all with Emtek products). But the question remained of what the design community at large thought about the finish. 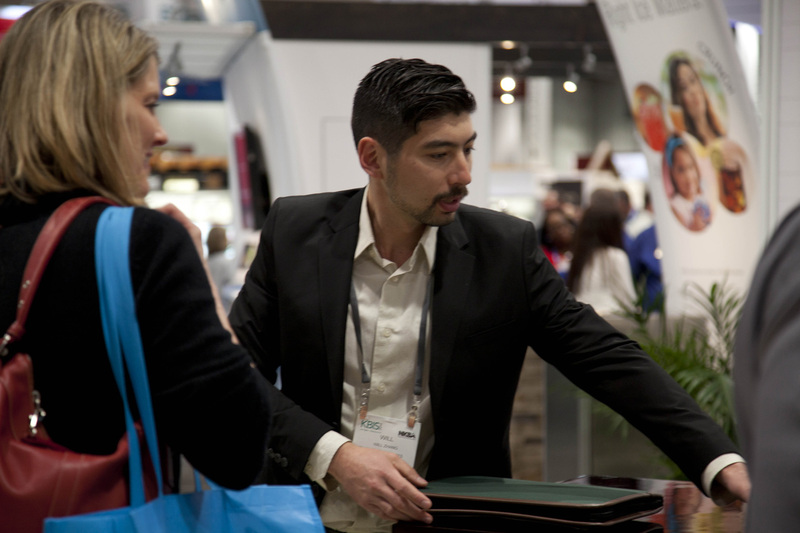 To garner feedback, Emtek created a new Satin Brass finish on its Lausanne entry set and displayed the stunning combination at the Kitchen & Bath Industry Show in Las Vegas. The response was overwhelming. 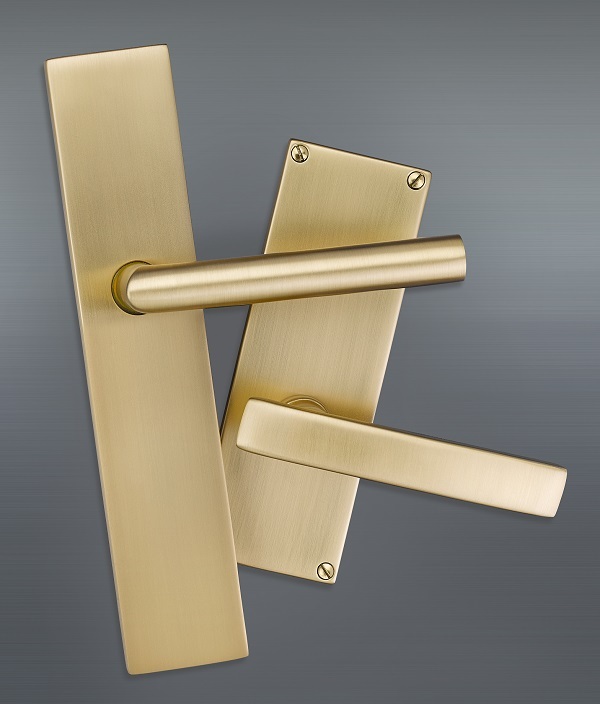 Satin Brass finish was met with uniform praise by the design community and inquiries as to when it would be available. Emtek sprung to action and released Satin Brass finish for select modern styles a mere four months later – a quick turnaround for a new product. “The older I get, the smarter my father seems to get.” You just keep getting better, Dad. 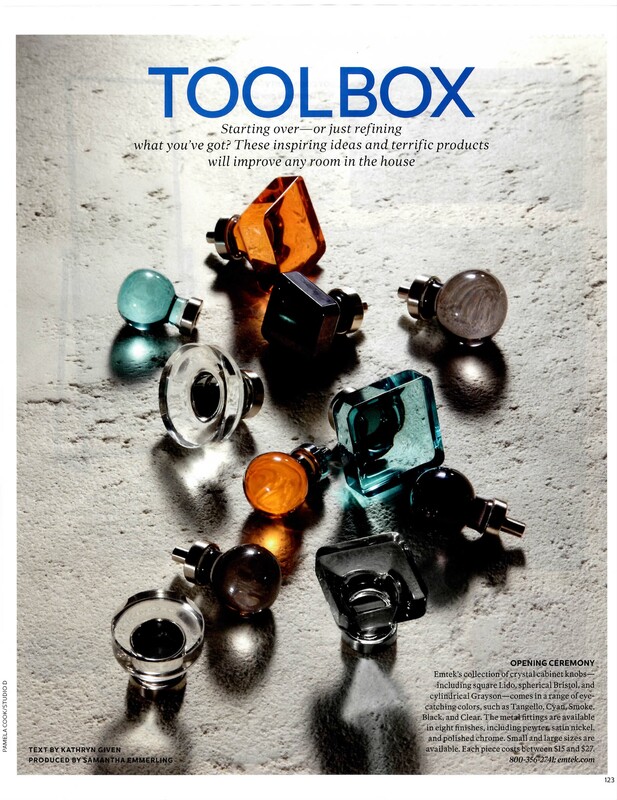 Look for Emtek’s Color Crystal Cabinet Knobs in the May issue of ELLE DECOR. 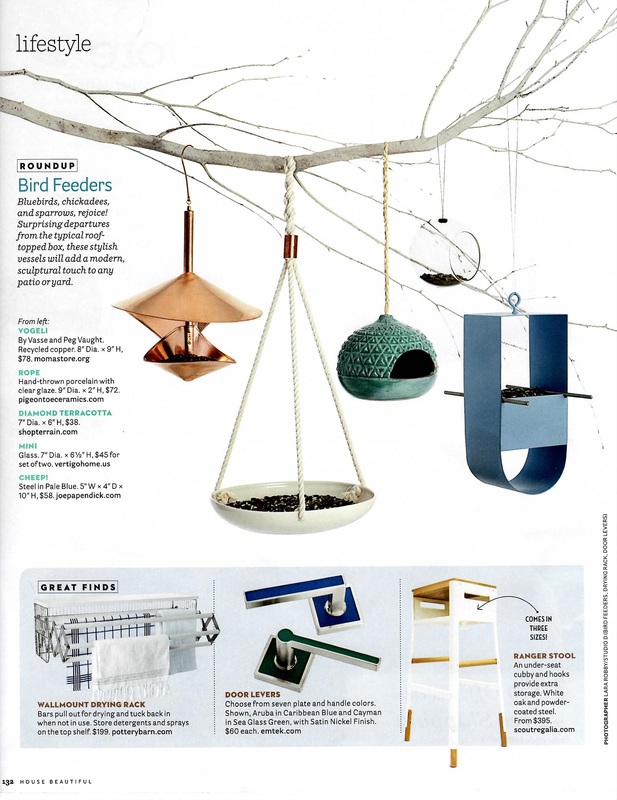 We’re featured in the Toolbox for “inspiring ideas and terrific products.” Pick up your copy! From where does great design come? Hours, days, and weeks of time can be spent in the search of a truly original idea which can become a great design. In the end, the spark of innovation may be found in the most unexpected places. Or at least this was true for William Zhang, Creative Director for leading residential door hardware manufacturer Emtek ASSA ABLOY. One of Zhang’s most recent designs, the Modern Disc Crystal Knob, was awarded the Best of Year honor by Interior Design Magazine. The award is prestigious and the road to receiving it was paved with creativity, hard work, and inspiration from the past. In late 2013, Zhang was, quite literally, at the drawing board trying to find his next original design for Emtek door hardware. 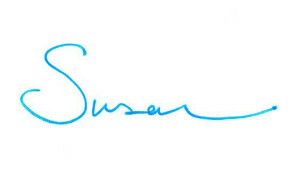 He wanted something sleek and contemporary, something that would capture the zeitgeist of design today. Zhang had created new square and disc shaped knob designs and while the shapes were there, the design still wasn’t quite right. There was a certain “je ne sais pas” that was missing. That missing piece came from a classic Emtek crystal cabinet knob. 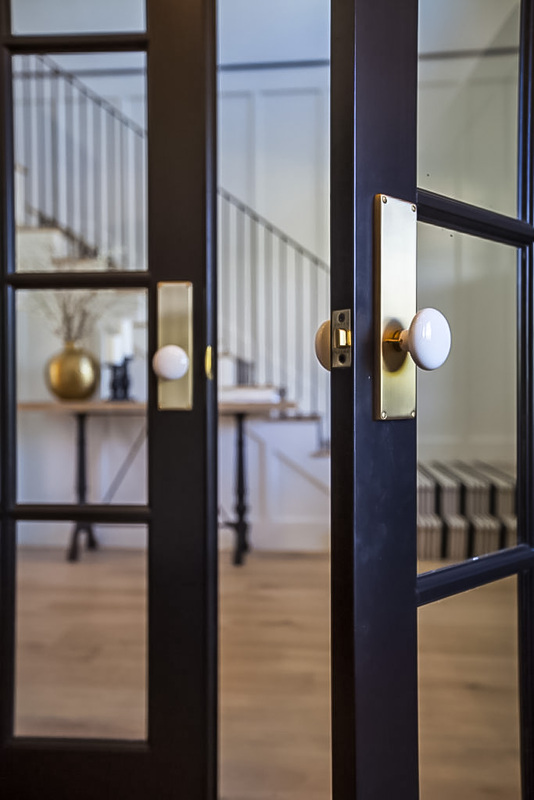 Glass and crystal door knobs date back to 1826, when the process for molding the material was created. They became commonplace in homes during the First World War In short, crystal is a classic material. The designs were usually multifaceted with anywhere from six to 12 facets and a flat face which showed a star or other pattern in the center of the knob. Zhang wondered how would it look to take a material that is typically used in such intricate designs and apply it to the clean, contemporary design of the square and disc knobs. 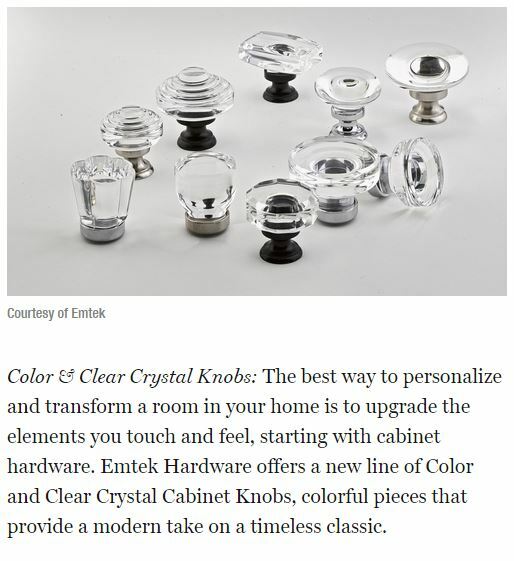 Emtek created prototypes of the contemporary knob designs in the classic material of crystal and the result was simply stunning. Once introduced into the market, the knobs were a quick success for the company. The decision to submit the modern disc and square crystal knobs for consideration in Interior Design Magazine’s Best of Year Awards seemed a natural progression. 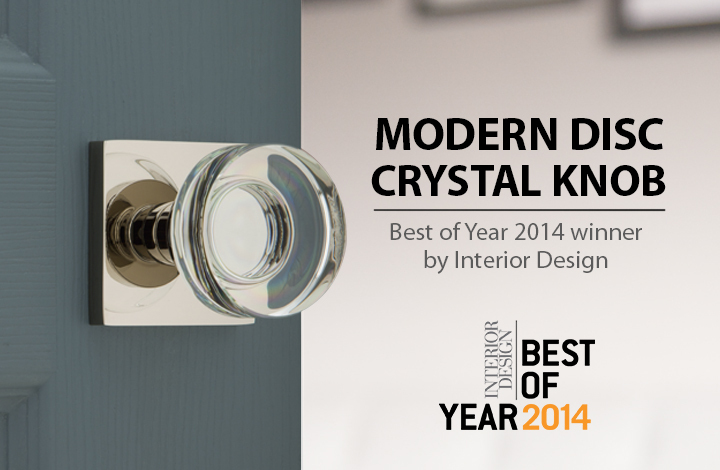 Crystal was in demand for the 2014 year; these knob designs had their finger on the pulse of the design market. The Best of Year Awards by Interior Design Magazine is the preeminent competition for new and compelling design. 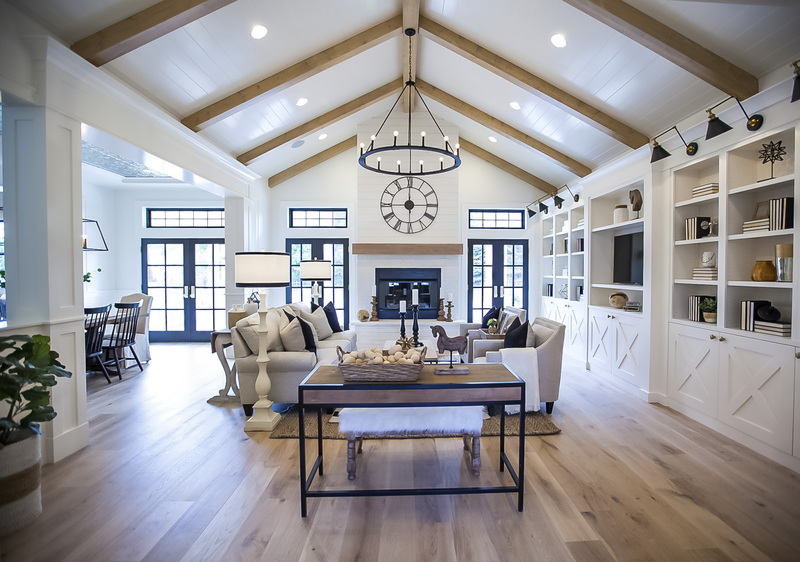 Every year, Interior Design must meet the challenge of finding the products that are on the leading edge of today’s trends. Their audience is made up of professionals in the design field and they are discerning of what the next big “thing” will be. The competition was fierce, with over 2,000 entries in over 100 categories. A handful of finalists were selected by the Interior Design Magazine’s top editorial staff, but the final winners were decided upon by popular vote. Design professionals logged into the magazine’s website and cast their vote for the best innovative products and designs for the 2014 year. After 60,000 votes and 600,000 page views, Emtek was declared the winner in the hardware category. The award ceremony was held in New York City in the Frank Gehry designed IAC building. More than 950 designers and manufacturers were in attendance. It was a standing room only crowd, as demand to be present when the awards were announced was high. Interior Design magazine editor in chief, Cindy Allen and President and Publisher, Mark Strauss used IAC’s 80 video wall to present the winners. It marked Emtek and Zhang’s first submission and first win at the awards. Winning this prestigious award is only the beginning. If anything, it will act as a boon to try new designs and reach for even greater heights. With innovators like Emtek and William Zhang, the possibilities are endless.